Can anyone remember the heat wave we had in Brisbane on the 13th of January 2018? It was hot that day reaching probably up to 38C, and yet I was craving for some sushi. After much persuasion, I dragged Mr to Oishii Sushi Bar! Not sure whether it was our lucky or unlucky day as their AC broke down and they ran out of cold water, so they gave us free drinks instead! Talking about good service! Their sushi menu is so tempting and I could have ordered more but we had a light lunch before heading out. 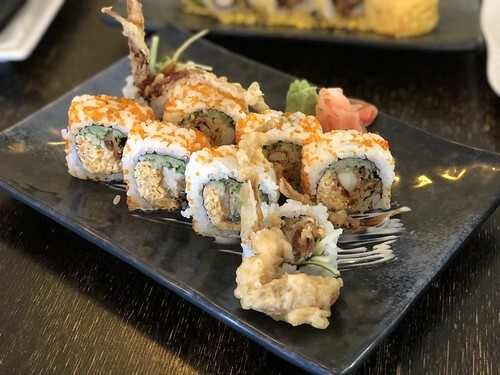 They ran out of the 'Snake roll' that day, and we ended up ordering the 'Spider Roll', which is the tempura soft shell crab sushi. Mr, who is a fan of soft shell crab enjoyed it very much. As for me who likes unagi, I ordered the 'Unatama Maki'. Unlike Kotobuki Sushi who includes cream cheese into their sushi, I much prefer the sushi roll here. 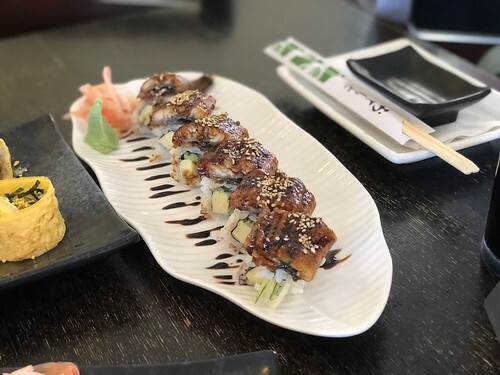 They are just very well proportioned in terms of rice to meat ratio and you can definitely taste the freshness of their sushi. Just love it! 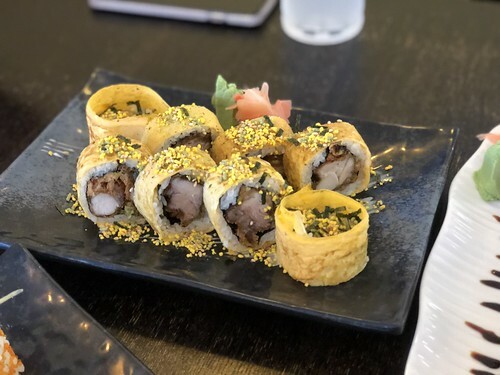 Our final sushi was the 'Himawari': deep fried marinated chicken with avacodo paste and wrapped with a thin layer of omelette instead of seaweed. We really enjoyed the sushi here from Oishii. They were indeed oishii! Despite the warmer environment, it certainly did not deter us from trying their food and I am so glad we persisted... So worth it! I cannot wait to return and this place will certainly be a regular.